Avenida by Sun Algarve . Black Horse Apartment - C101 price per day from € 145 5 km from Aquashow Water Park, Black Horse Apartment - C101 offers pet-friendly accommodation in Quarteira. A number of activities are offered in the area, such as fishing and hiking. Sunset Villas, Luxury Penthouse 7 km from Aquashow Water Park, Sunset Villas, Luxury Penthouse offers accommodation in Quarteira. Other facilities at Sunset Villas, Luxury Penthouse include an outdoor pool. Quarteira Apartamento Located in Quarteira, 30 metres from the beach, the Quarteira Apartamento is a 3-bedroom apartment featuring a balcony with beach views. The kitchen is equipped, and the central location of the apartment means guests are a few minutes’ walking from a selection of restaurants..
Apartamentos The Old Village price per day from € 50 Located in Vilamoura, just a 5-minute drive from Falesia beach, The Old Village offers self-catering apartments with 3 swimming pools. For outdoor dining, guests can make use of the barbecue facilities..
Vila Mesquita Vila Mesquita is a semi-detached villa with a private outdoor swimming pool and a barbecue in Vilamoura, 1 This self-catering unit includes a fully equipped kitchen, with oven, stove, washing machine and dishwasher. 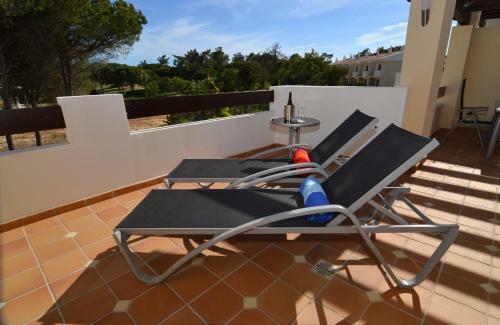 This villa is 25 km from Faro International Airport..
Villa Cavaco Located in Vilamoura, Villa Cavaco is set in a quiet area and offers an outdoor pool. 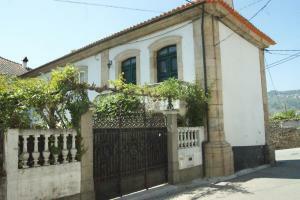 Villa Cavaco includes 1 double bedroom and 3 twin bedroom. 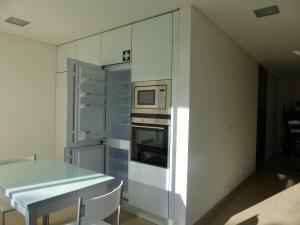 Guests can prepare their own meals using the fully equipped kitchen or the barbecue facilities outdoors. Adriana Beach Club Hotel Resort - All Inclusive Surrounded by gardens, all-inclusive Adriana Beach Club is 300 metres from Falesia Beach with free sun loungers and umbrellas for guests. The 2 open-air bars have table and chairs on the sun terrace overlooking the pool. 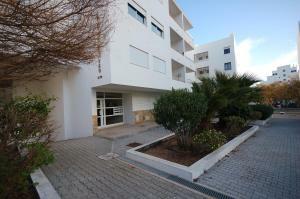 Solgarve The Solgarve apartments provide comfortable accommodation just 800m from Quarteira beach. The air-conditioned apartments have a private bathroom, equipped kitchen for guests to prepare their meals, dining area, flat-screen TV and a terrace. 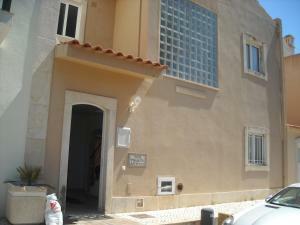 The Quarteira centre is a 4-minute drive and features supermarkets, shops and restaurant options. Hotel Atismar price per day from € 18 Hotel Atismar offers accommodations in a central position, 50 meters from Quarteira Beach. The in-house restaurant serves international cuisine and a variety of Algarve dishes made from fresh ingredients. Hotel Atismar is situated 4 km from Aquashow Water Park and is 12 km from the lively town of Loulé..
Moradia Cuco by Sun Algarve Located in Vilamoura, Moradia Cuco by Sun Algarve offers an outdoor pool surrounded by garden and a covered terrace. Moradia Cuco includes 3 double bedrooms and a twin bedroom. The master bedroom includes an en suite bathroom and an additional common bathroom is available. 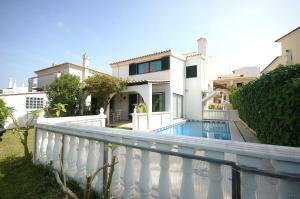 Golf This modern and luxurious villa features an outdoor swimming pool and an ample garden. The spacious Golf is located in Vilamoura, in front of a golf course and 3 This spacious villa features a large living room, which opens to the garden and the pool area. All bedrooms feature garden viewsGuests are welcome to prepare their own meals in the equipped kitchen at their disposal..
10. At the roundabout, take the 3rd exit onto the N396 ramp to Quarteira. 11. Merge onto N396. Go through 1 roundabout. 12. Slight left to stay on N396. Go through 1 roundabout. 13. At the roundabout, take the 2nd exit onto Rua 25 de Abril. 14. Turn left onto Rua S. Gonçalo de Lagos. 15. Turn left onto Rua do Farol. 16. Take the 1st right onto Travessa do Cotovelo. 17. Turn right to stay on Travessa do Cotovelo. Partial restricted usage road. Destination will be on the right. Golf club Vale do Lobo (Royal), 3.5 km from the centre of town of Quarteira. Golf club Vale do Lobo (Ocean), 3.8 km from the centre of town of Quarteira. Golf club Oceanico (Old), 3.8 km from the centre of town of Quarteira. Golf club Oceanico (Victoria), 5.3 km from the centre of town of Quarteira. 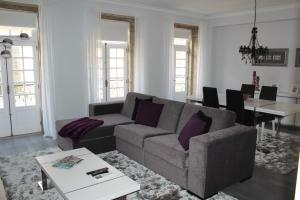 Golf club Quinta do Lago (North), 7.4 km from the centre of town of Quarteira. 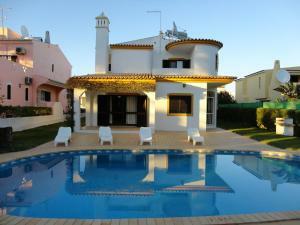 Golf club Quinta do Lago (South), 7.8 km from the centre of town of Quarteira. 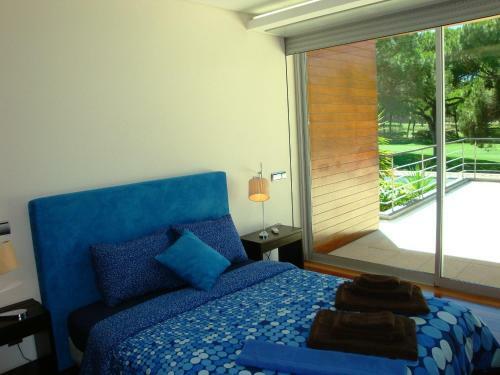 Golf club San Lorenzo, 9 km from the centre of town of Quarteira.